THOSE long summer holidays are almost upon us. What do you have planned for your family? For a fascinating foray through history try the Imperial War Museums (IWM) with five branches including HMS Belfast moored on the River Thames, Churchill’s War Rooms housed under Whitehall and the flagship IWM London. From code-breaking to your chance to see what fighting at sea was really like, visit HMS Belfast where all activities are included in the general admission price and are suitable for all ages. Intercept messages, map hazards and even make up your own code. You’ll also learn about the skills intelligence officers had to have as well as some of the dangers that surrounded HMS Belfast at sea. Learn about the role HMS Belfast played during D-Day; travel through the ship paying close attention for clues that help to crack the final code! Find out what fighting at sea was really like. Overlooking the back of the ship, or Quarterdeck, is one of HMS Belfast‘s Triple Gun Turrets. Lights, audio, projections and movement will recreate the experience, highlighting the hectic and cramped conditions that would have seen twenty-six men in this confined space at any one time. 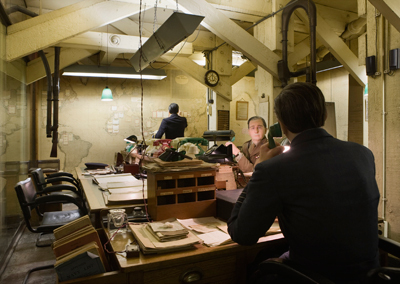 What’s on at Churchill War Rooms? Discover the secret underground headquarters that were the nerve centre of Britain’s war effort. Walk in Churchill’s footsteps through the extensive secret underground site from which he directed the war. Come and hear first-hand accounts from those who worked in the Cabinet War Rooms during the war. Learn what life and conditions were like underground – walk through the corridors where Churchill made history. Why not visit the Imperial War Museum (IWM) London? To mark the centenary of the First World War, IWM London will open new First World War Galleries, a reconfigured atrium with large object displays and a major new art exhibition Truth and Memory: British Art of the First World War. Go behind the scenes and see the challenges of supporting and maintaining troops on the frontline. This display follows the journey and logistical challenges from RAF Brize Norton in the UK to Camp Bastion in Afghanistan and on to the Forward Operating Bases and Patrol Bases on the frontline. Explore objects from the museum’s collections and how they connect with iconic objects on display in the new atrium and Terraced Galleries. Feel the weight of a shrapnel piece from the First World War and come to grips with real objects from the past. Based on the popular children’s book series written by Terry Deary, explore the world of spies during the Second World War. 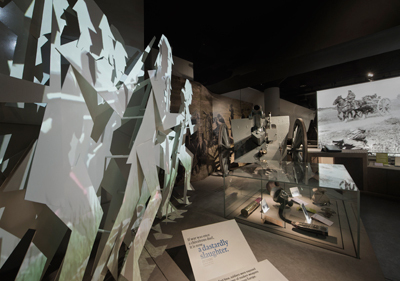 Make your way through the exhibition, encountering themes such as Ruthless Resistance, Cracking Codes, Great Gadgets, Savage Sabotage and Clever Camouflage, and discover techniques used by the most cunning spies, including how to make invisible ink, crack codes and use fake feet. For opening times, charges, or to find out more, visit www.iwm.org.uk and take a walk through history this summer.